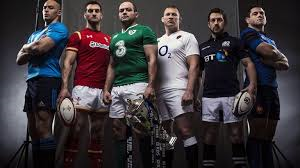 With everyone’s favorite time of year almost upon us, here are all the upcoming fixtures for the 2019 Six Nations Championship! France vs. Wales – Stade de France (Paris) – Friday 1st Feb – 8pm – Available on BBC. Scotland vs. Italy – Murrayfield (Edinburgh) – Saturday 2nd Feb – 2.15pm – Available on BBC. Ireland vs. England – Aviva Stadium (Dublin) – Saturday 2nd Feb – 4.45pm – Available on ITV. Scotland vs. Ireland – Murrayfield (Edinburgh) – Saturday 9th Feb – 2.15pm – Available on BBC. Italy vs. Wales – Stadio Olimpico (Rome) – Saturday 9th Feb – 4.45pm – Available on ITV. England vs. France – Twickenham (London) – Sunday 10th Feb – 3pm – Available on ITV. France vs. Scotland – Stade de France (Paris) – Saturday 23rd Feb – 2.15pm – Available on BBC. Wales vs. England – Principality Stadium (Cardiff) – Saturday 23rd Feb – 4.45pm – Available on BBC. Italy vs. Ireland – Stadio Olimpico (Rome) – Sunday 24th Feb – 3pm – Available on ITV. Scotland vs. Wales – Murrayfield (Edinburgh) – Saturday 9th March – 2.15pm – Available on BBC. England vs. Italy – Twickenham (London) – Saturday 9th March – 4.45pm – Available on ITV. Ireland vs. France – Aviva Stadium (Dublin) – Sunday 10th March – 3pm – Available on ITV. Italy vs. France – Stadio Olimpico (Rome) – Saturday 16th March – 12.30pm – Available on ITV. Wales vs. Ireland – Principality Stadium (Cardiff) – Saturday 16th March – 2.45pm – Available on BBC. England vs. Scotland – Twickenham (London) – Saturday 16th March – 5pm – Available on ITV. Now that you have all of the fixtures for the upcoming 2019 Six Nations Championship, why not organise a session of paintball at Teamforce Swansea! With morning sessions available, you’ll have plenty of time to cover your mates in paintballs before you head to the pub to watch the game! Click here to book now or call us on 07541512405 for more info! This entry was posted in Uncategorized and tagged paintball swansea, Six Nations 2019, Teamforce Swansea.